Dennis Ranch Shop is a one man shop. 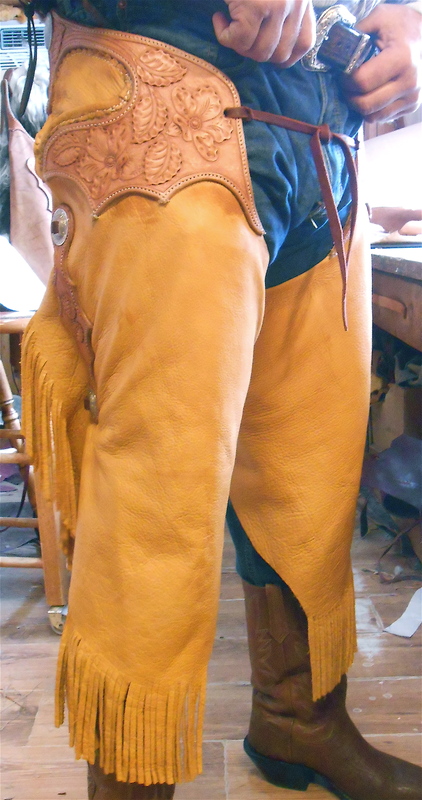 I make all the saddles and gear by hand, one at a time, using time honored and tested methods. 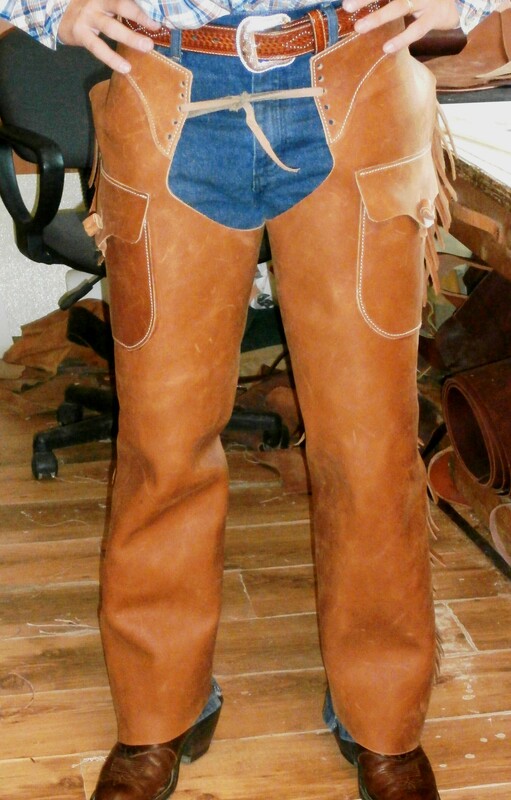 We use the saddles and gear I produce myself, on our ranch in our day to day operation. 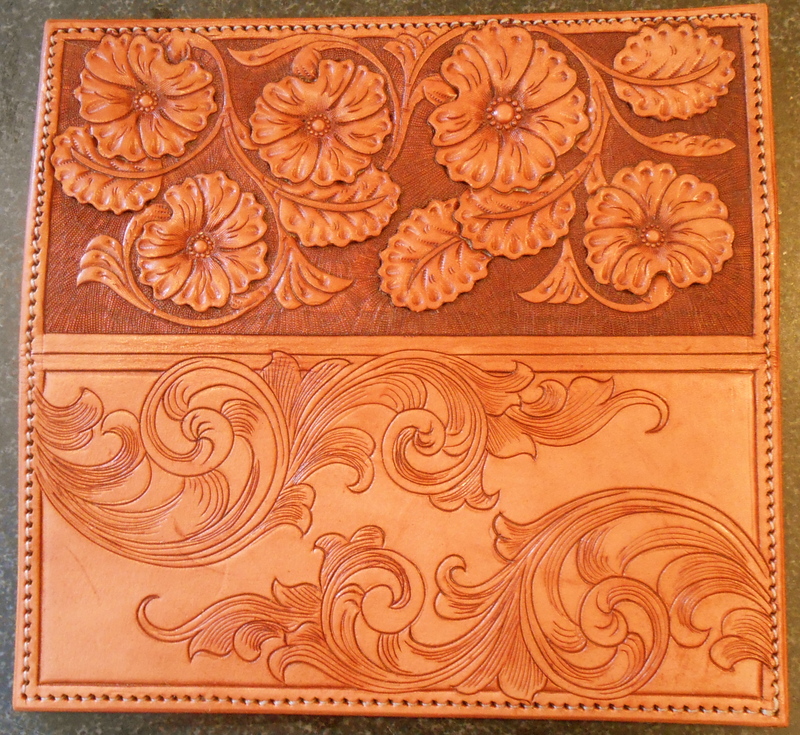 I’ve been working with leather for over 40 years. 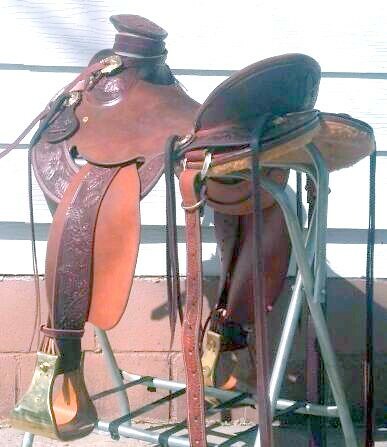 You can ride one of my saddles all day in comfort for horse and rider. 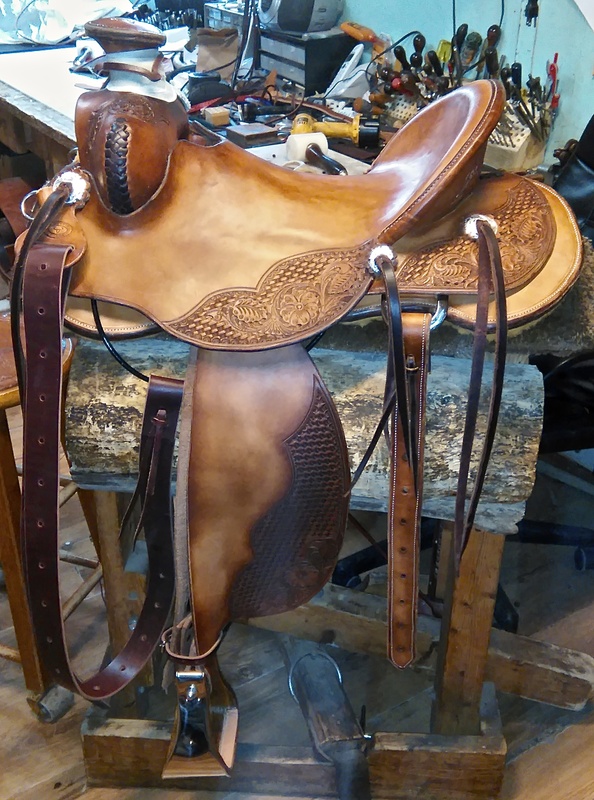 Mass produced saddles don’t have the time spent building it, that custom work does. I buy the best hardware, leather and saddle trees that I can find and refuse to use or make an inferior product. 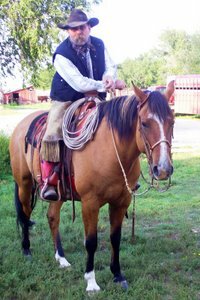 All of my saddles have been tested for strength and fit by ranchers and cowboys, who put a true test to their equipment. I stand behind the gear I produce and guarantee that the customer will be happy with it, or I will make it right. There are no middle men between the customer and the manufacturer. When you call or stop in to place an order, you talk to me! “Affordable quality” is my motto. I build to the individuals needs and wants. I don’t build a “one size fits all” saddle. Tell me what you want and I’ll build it. 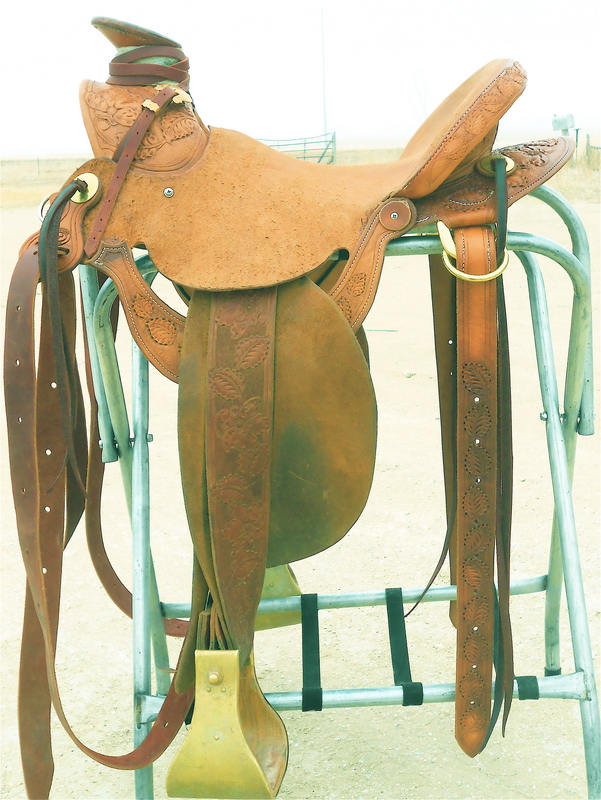 One of my custom built saddles comes with choice of saddle tree, cinch and latigo’s. Stainless steel or brass hardware and rigging plates. Any style of rigging, whether full double, plate or in-skirt or cable. 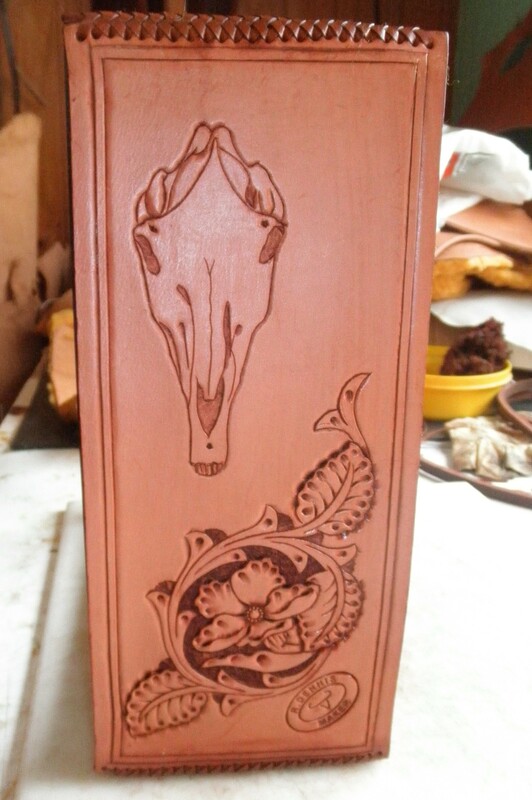 1/4 stamping or carving/stamping combination, included in price. 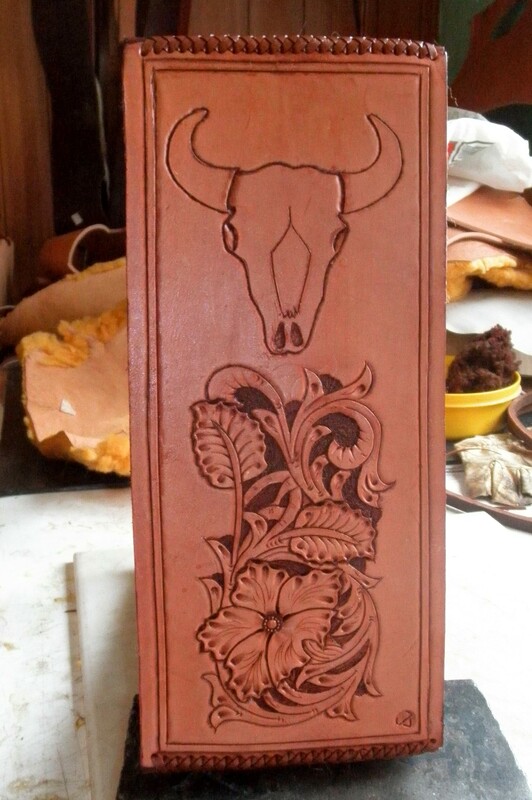 All saddles will have some stamping or carving. I won’t build a plain saddle! My saddles come complete and are ready to ride. 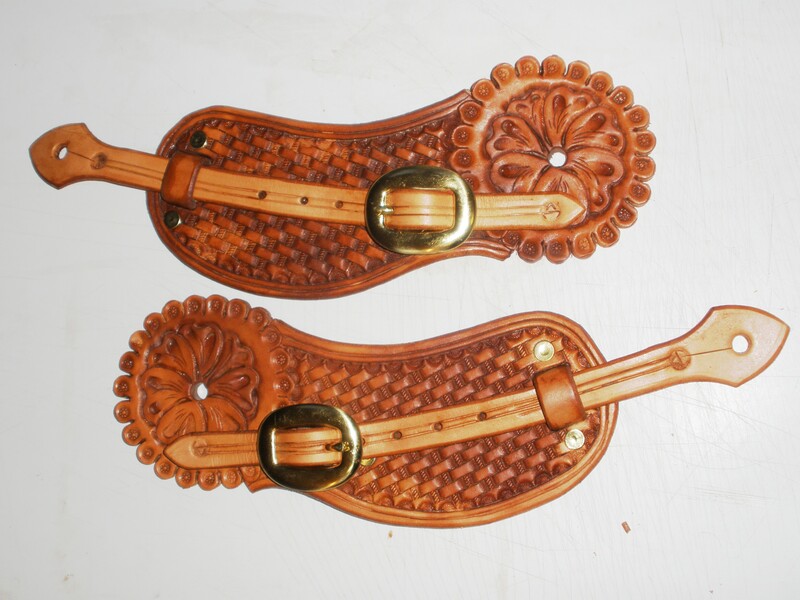 Call for a quote for any extra charge for any more than on 1/4 stamped saddle or Rawhide Braid work on Jockey’s or Fenders. Engraved concho’s available at my cost. You should be able to click on these photos for a bigger picture. 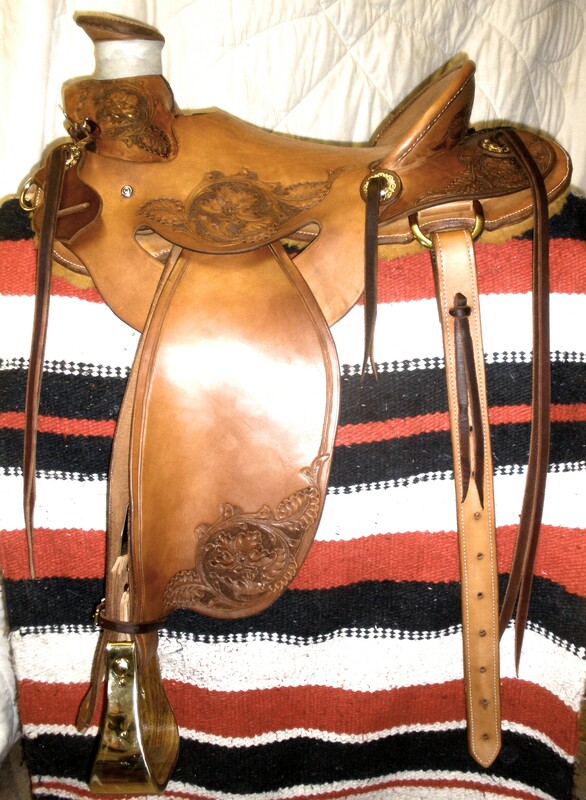 Newest made saddles and other items are at the bottom.
. This is a Wade Laporte tree with Sheridan Style carving in basket stamping. Slotted jockey for more freedom in the stirrups. 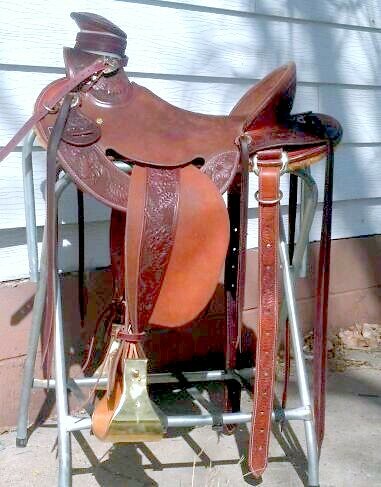 This is my personal saddle that I ride. This is a Wade Laporte tree with cable rigging, bare bones or skeleton rigged. I worked on the horn to make it more of a Guadalajara. This is a Wade Laporte with a Sam Stagg Spanish rigging I made for a movie. 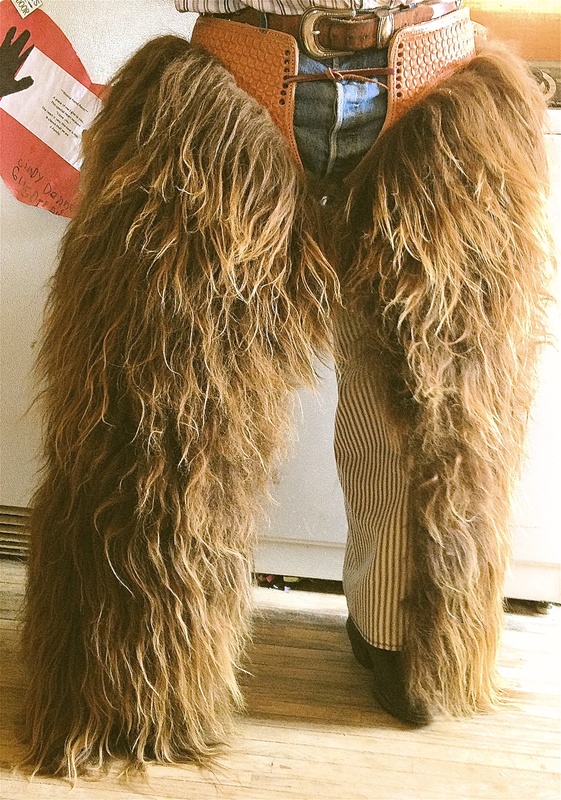 A man in Michigan now rides it and loves it for it’s comfort and light weight. Jacks saddle. Copied off his old saddle. Homestead tree with cable rigging. Monel Stirrups. Half breed with Meander border stamp. 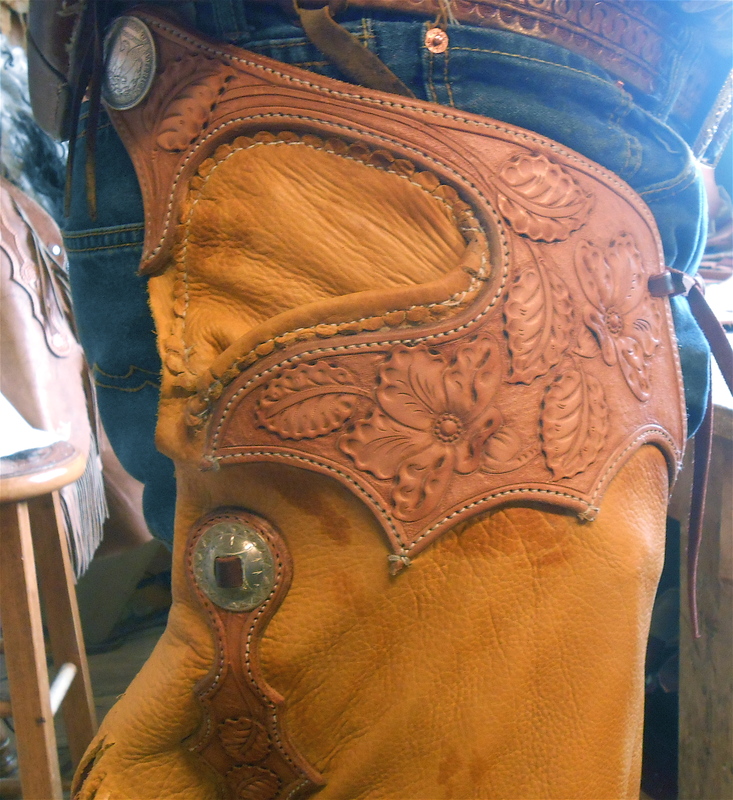 Scalloped cantle binding. 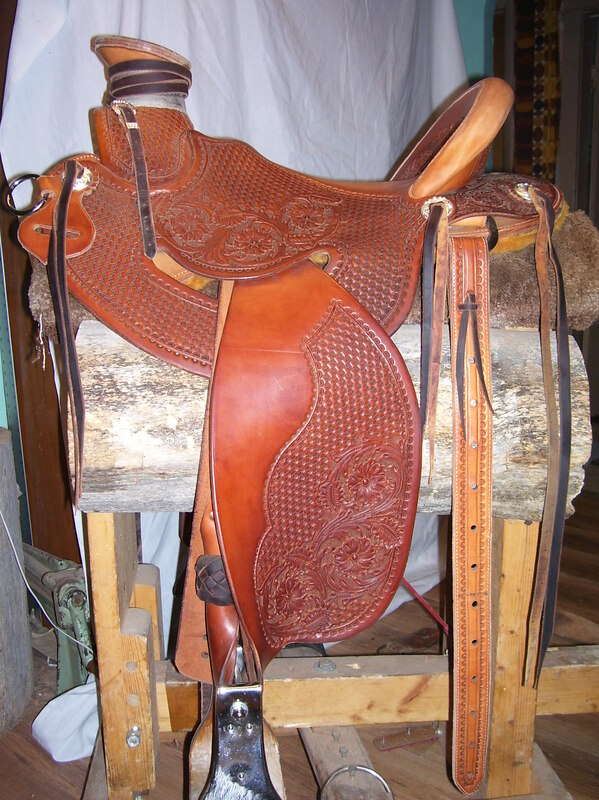 Here’s one on a Wade tree, cable rig, straight up cantle binding, post horn, 3 1/2 cap by 3 inch with mule hide wrap. 3 inch brass stirrups. Corner carving. I had a hard time getting as good of a picture as I would like. This doesn’t show the carving very well. 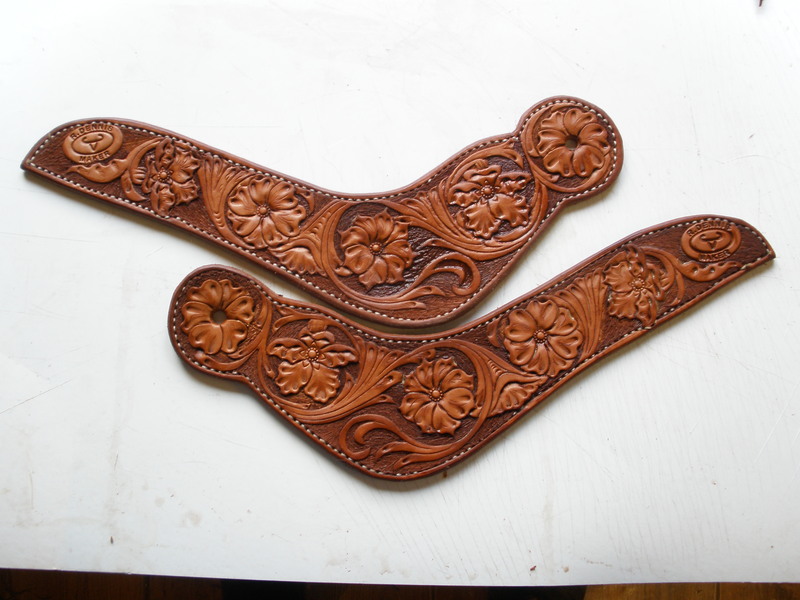 Dove wing spur straps for Damon. Just got this one done. 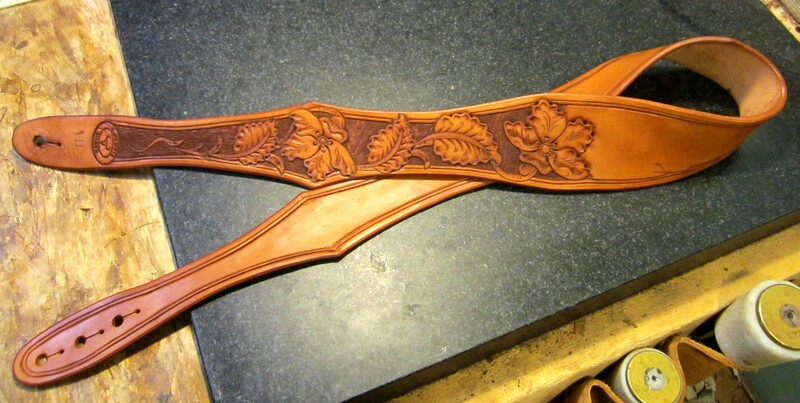 4/1/12 Cable rig, wade, straight up cantle binding, half breed with floral carving. Made for my self. 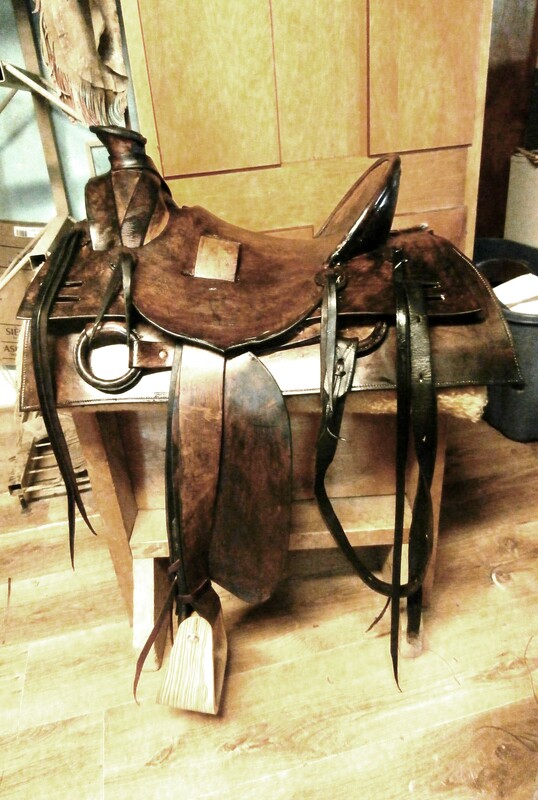 Old time, 1870’s model saddle. Reproduction of the saddles them ol’ cowboys rode. Full double Sam Stag rigging. 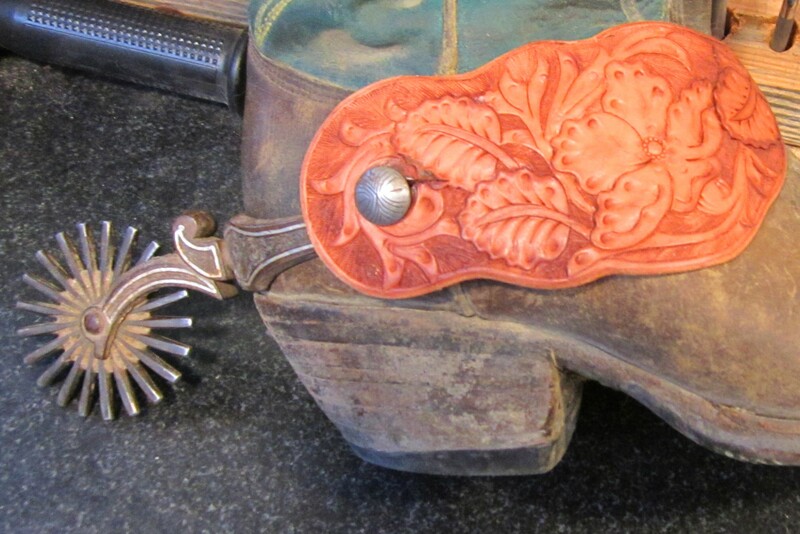 This saddle is available for sale. Cover for a carrying case. These are three panels I carved and stamped to go on the sides of an old time box camera that my friend Cedric Chatterly made. 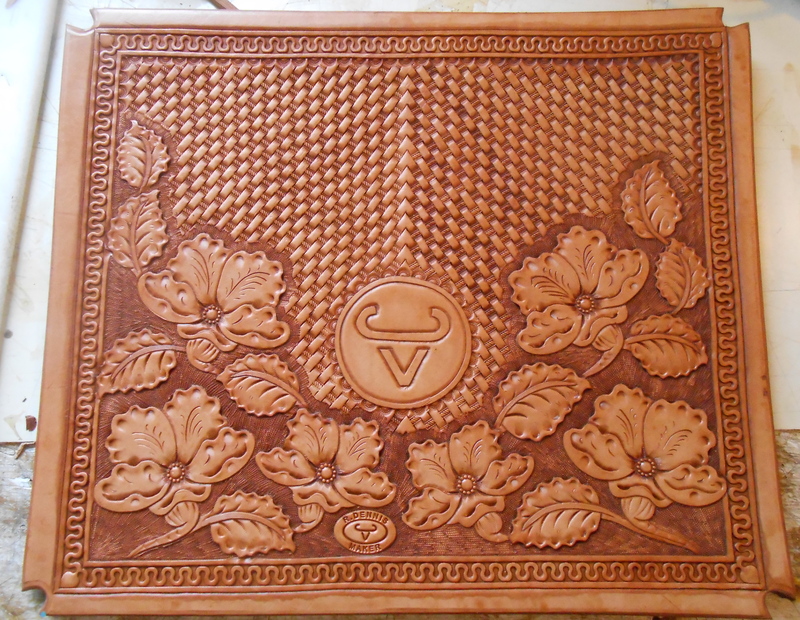 New Wade tree from La Porte, cable rigging, full carved half breed on full QH bars. I made this for myself to ride wider flatter withered horse. Hopefully it will work on them flatter withered colts also..no skirts…oddly, these saddles with no skirts seem to fit as well or better than saddles with skirts. 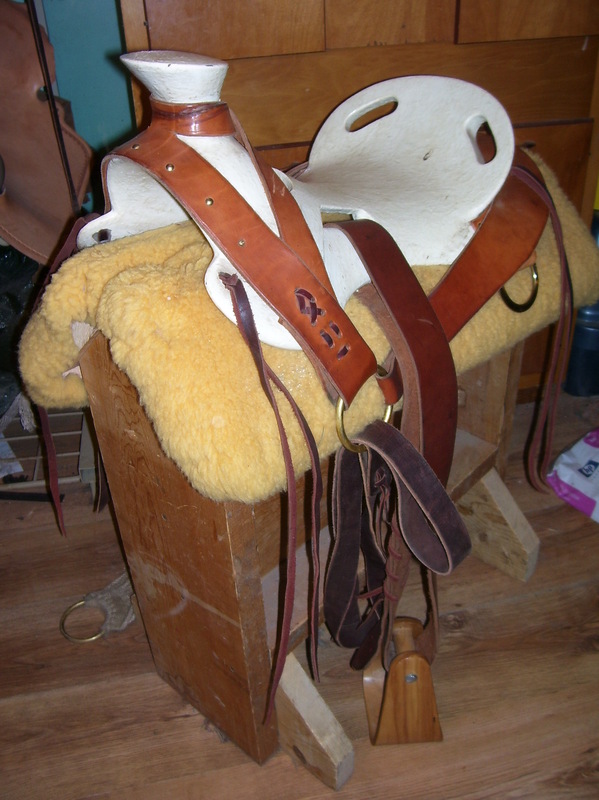 I usually just use a thick wool pad and then a wool blanket if I need more..the saddles that started the first western saddle had no skirts and were just a bare tree. 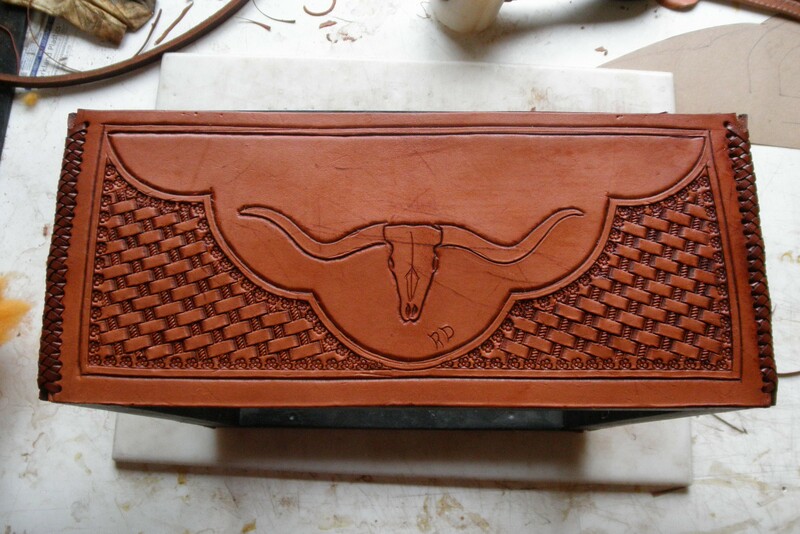 Later we started putting more leather on for one reason or another…saddle makers like to put ,lots of big leather on usually as it gives them more room to carve and stamp. This saddle might weigh 22 pounds, but not over. I could lighten it up by putting smaller and lighter stirrups on..Notice the back billets, easy to put on or take off as I have been riding single rigged a lot but still like the advantage of using a back cinch at times. 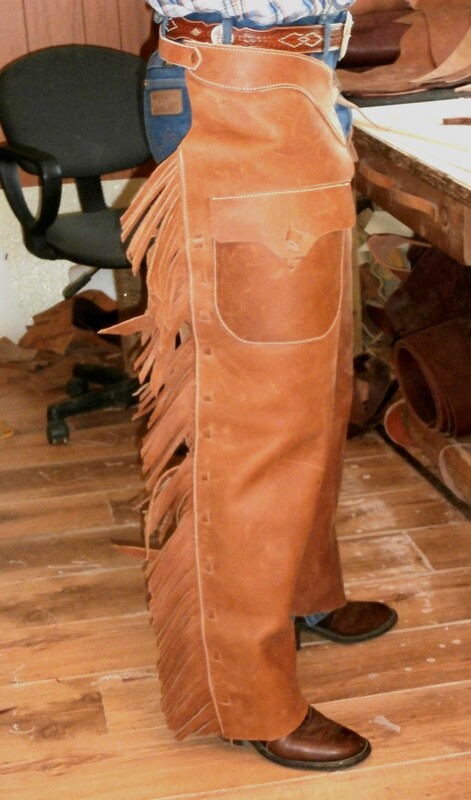 Buffalo hide chinks with pockets.